I ain’t joking. There is indeed such a thing as getting more flexible without effort. It’s called Thai Massage. It is also referred to as lazy man’s yoga. You just lie there and let me do the work of stretching, moving and massaging you. When you get off the mat your hamstrings are longer, your back straighter, your hips looser and your shoulders more relaxed. Many people go through the trouble of practicing yoga. I love it!!! I am a major yoga freak and certainly encourage all my clients to practice it if they are so inclined. But for some it just ain’t the thing to do. For others, it may be their thing, and they just need that extra boost to improve their practice. In either case, that’s where I come in. See, the thing is, when you get older, and we all do (BIG NEWS!) our bodies get more and more inflexible from driving, sitting at a desk, computer work, yard work, and so on unless we give the good ol’ body a nice lengthening. And flexibility is very important. 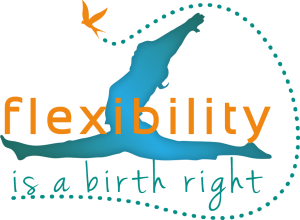 What are some of the activities you do that require flexibility? You got the idea. Flexibility is important and truth be told, for most of us that ain’t coming naturally. There are just too many activities in day-to-day life that have the opposite effect. This pose is a hip opener. It increases your ability to pull your knee towards the chest and stretches your back. Hence it is good for lower back pain. Secondarily, it increases the flexibility in the knee and ankle as well. This pose stretches your hamstrings. Good ol’ hamstrings. Tight hamstrings can cause lower back pain. Not good folks, not good. Single leg raises like this help out a ton. Here is some more hamstring love. Here I am using the power of my legs to massage the muscles with my feet. Extremely effective on small and big people. One of my client’s favorites. Thai massage allows me to use my entire body. Feet, legs, arms, elbows, hands, bodyweight for your benefit.. Here I am using my feet again. This time to get to the ever so tight IT band. This is a Thai massage classic. Highly effective in opening the chest and shoulders. It also stretches the psoas, one of the major culprits for back pain. This is wild looking one but so good for the back and psoas. And it’s a full front body extension. You may think you could never do this. Maybe. But don’t be fooled. I can do this pose with 70% of my clients, even 180 lb guys. Of course, I would be cautious if you had an injury. How much effort do YOU have to put in to get more flexible? You just lie there, close your eyes and enjoy. And it truly is enjoyable. Sound interesting? Want that for yourself? Contact me.